President Dmitry Medvedev has said that Russia is prepared to introduce visa-free travel regime with the EU and handed over a draft agreement on the issue to the European partners. 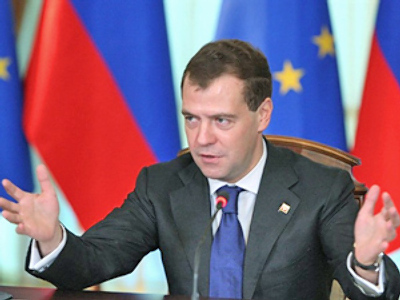 Speaking at a media conference on the results of Russia-EU summit in Rostov-on-Don, Medvedev said that Moscow is ready to lift visa restrictions for travelers from the EU “tomorrow”. 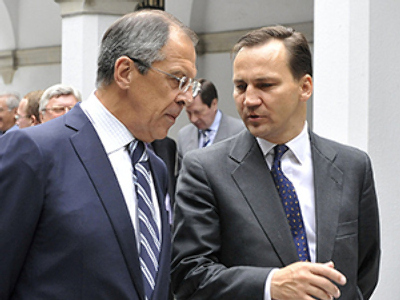 Moscow has long been pursuing lifting visa restrictions for travel between Russia and the EU. However, the idea so far has not found support among some European countries. But while Russia is one state, “the EU is made up of 27 states, and each of them has its own opinion on the cancellation of visas,” Medvedev said on Tuesday. He said that he believes the sooner consensus is found in EU, the better. However, he went on, “it is important not to politicize the issue,” but "we must move on to the main goal – the cancellation of visa travel”. This step, according to the president, would not only reinforce the strategic partnership between Moscow and Europe, but “the main thing is that it simply would ease the lives of millions of people in the EU and the RF". And to speed up the process, Russia has passed a draft agreement to the EU on introducing visa-free travel for Russian and European citizens. Meanwhile, the German government plans to help progress the dialogue on the issue. Berlin will support the long-term target of introducing a visa-free regime, the Deputy Chairman of Germany's CDU/CSU parliamentary group, Andreas Schockenhoff, said in an interview to Deutsche Welle daily, Itar-Tass cites. "All the sides in such negotiations – the European Commission, separate EU member states and Russia itself – may assist the success of this process if they point to obstacles openly," he said. "The atmosphere of partnership between the EU and Russia should make this dialogue open." The co-operation between Moscow and the EU in modernization became one of the major issues of the summit. Opening the meeting, Russian President Dmitry Medvedev expressed hope that the event would become one of the first steps in this direction. According to the European Council President Herman Van Rompuy, Europe supports Russia’s modernization efforts. ”We want to be Russia’s partner in modernization. That is why I am glad that we are launching the Partnership for Modernization and that we have agreed on its scope and priorities. I believe this will promote reform and give new momentum to our relationship, develop our co-operation on trade, economy and energy security,” he told the news conference following the summit. Herman Van Rompuy added that for the partnership to bear fruit, Russian modernization should become a reality. ”It needs to follow the certain path and to avoid protectionism,” he said. “In the light of this I welcome a renewed momentum in Russia to join the World Trade Organization. In this context we also talked of long-term goal of visa-free travel,” Rompuy added. According to Russian president Dmitry Medvedev, the Partnership for Modernization initiative should be based on European experience. "This is a new form of co-operation with united Europe, but its results are being seen already in energy efficiency, 'green economy', settlement of complicated situations caused by the imperfect technical regulations in Russia," he said. "We have agreed that our technical regulations will use not only the local approach, but will be based on the European experience," Medvedev added. "This is what we call partnership." Russia’s membership of the World Trade Organization (WTO) has also been discussed. 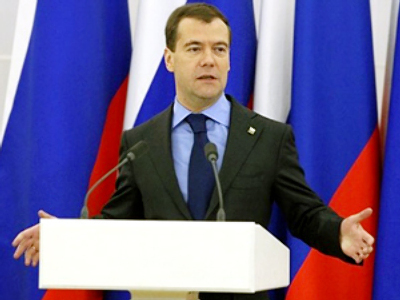 President Medvedev expressed hope that "all difficulties will be resolved, and we will be able to join the WTO in the near future." “It seems to me that it is time everyone, including our American partners, agreed that Russia’s membership in the WTO is not a carrot they are offering us all the time as a prize for our good behavior,” Medvedev noted. It is a necessity, he went on, which would make Russia a full-fledged member of world economic processes. European Commission President Jose Manuel Barroso told the joint news conference following the summit that the EU supports Moscow’s efforts to join the organization.